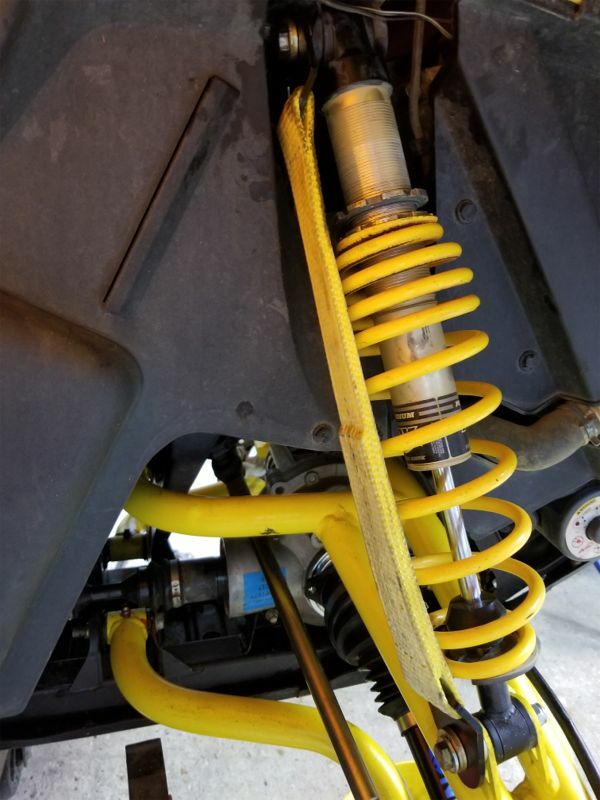 Scroll down to view all items in our suspension products category.
. Old Man Emu suspension systems include carefully matched spring and shock combinations engineered to improve vehicle ride quality, handling and control under various loads. 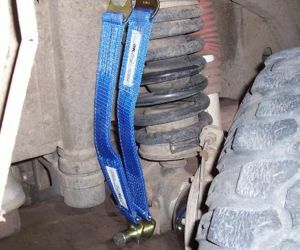 Special attention is given to improving suspension travel without adversely affecting driveline and steering geometry. Old Man Emu is not just a lift kit, but an entire suspension upgrade, with superior shock valving, and spring rating. 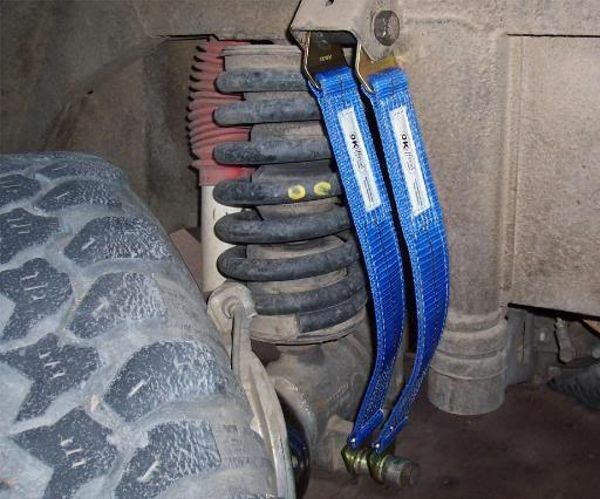 .
. XD Suspension Limiting Straps are designed for custom suspension applications. 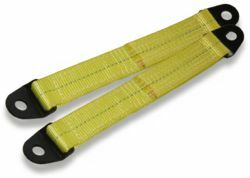 The 2" wide double-ply limiting straps are available in 5 stock lengths. Need a custom length? - No problem! You can specify exactly what center-hole to center-hole length you need. Contact us! Hardware is Black color, Strap is Yellow. E-mail us for Custom lengths. U.S. Made hardware & nylon webbing. John Allen put limiting straps on his Can-Am. "I'm very pleased with them. Thank you!" (click images for large view) .
. These shock mounts are designed to be used on an axle tube. 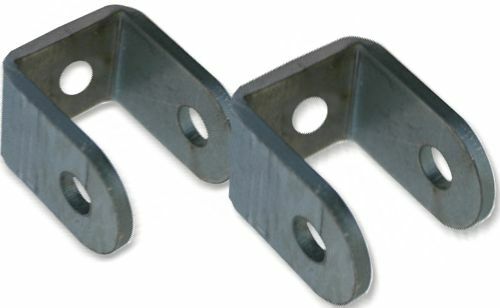 It is best used in applications where the shock's upper mount is along the frame rail. The contoured shape is sized for 3" axle tube. It can be easily modified for use with any diameter axle tube. 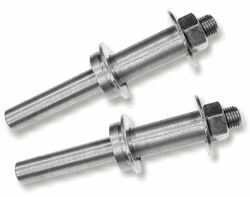 Mount accepts 1/2" bolts and shocks with 1-3/8" wide eyes/bushings. Designed for 3" axle tubes. Easily modified for larger axle tubes. 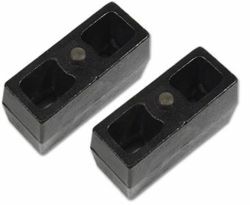 Accept standard 1-3/8" wide shock eyes/bushings.
. 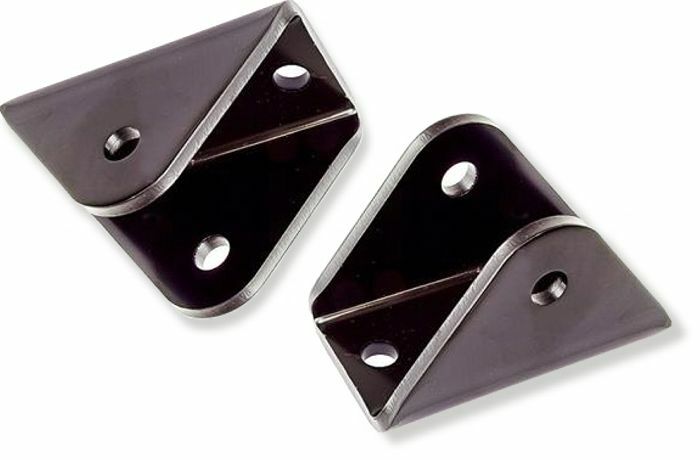 These shock mounts are designed to be used for mounts on flat surfaces. The mount is designed to be welded into place. 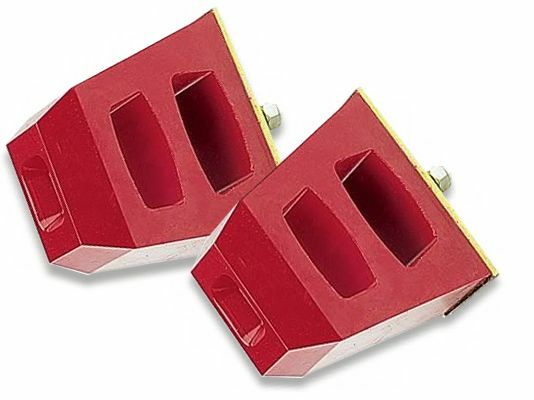 Mount accepts 1/2" bolts and shocks with 1.5" wide eyes/bushings. Accept standard 1.5" wide shock eyes/bushings.
. These shock mounts are designed as an upper shock mount on a crossmember. They fit into a 1/2" diameter hole drilled through a 2" crossmember (or tube). 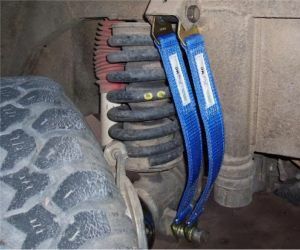 They can also be used as a weld-on mount for sway bar disconnects on a front axle. They typically would be welded to the lip of a spring plate. Insertion section: 1/2" x 21/4". Shock mount section: 5/8" x 11/4". 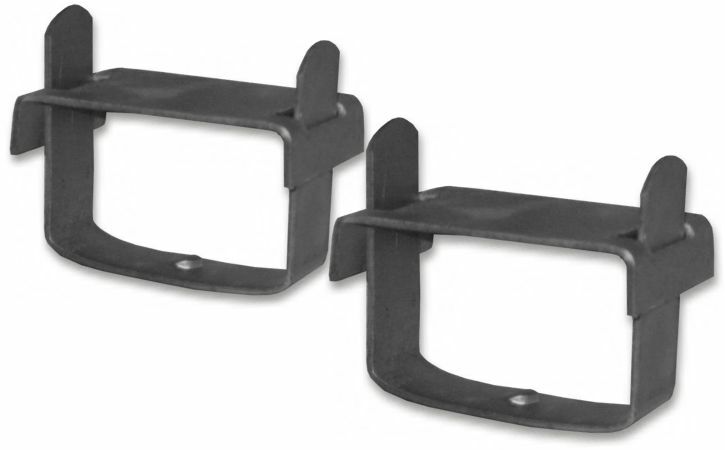 Designed as an upper shock mount.
. Weld-on or bolt-on brackets for 2" (Jeep CJ, etc.) width springs. 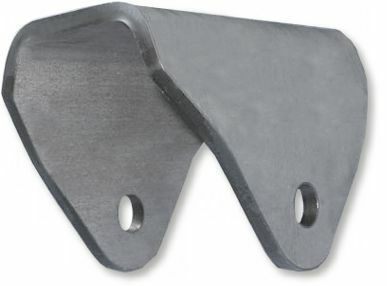 Can be used to re-locate leaf spring mounts, and are useful in many other custom applications. The 2" bracket measures 21/2" between the spring mounting holes. 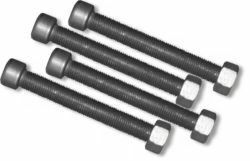 Use with a spring bolt to complete the installation. For 2" leaf spring applications.
. Weld-on brackets for 21/2" (Jeep YJ, Toyota, Land Rover, etc.) width springs. 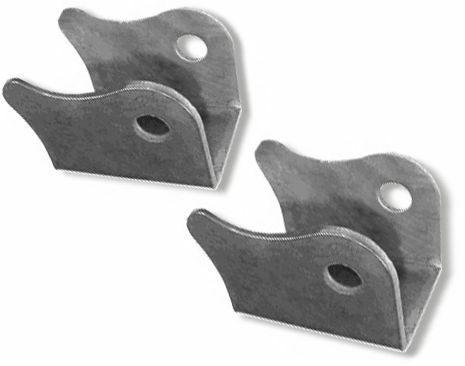 Can be used to re-locate leaf spring mounts, and are useful in many other custom applications. 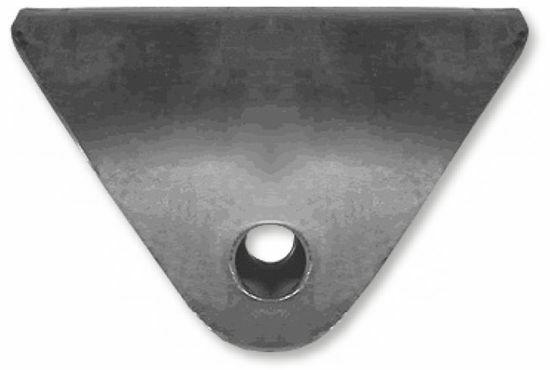 The 21/2" bracket measures 3" between the spring mounting holes. 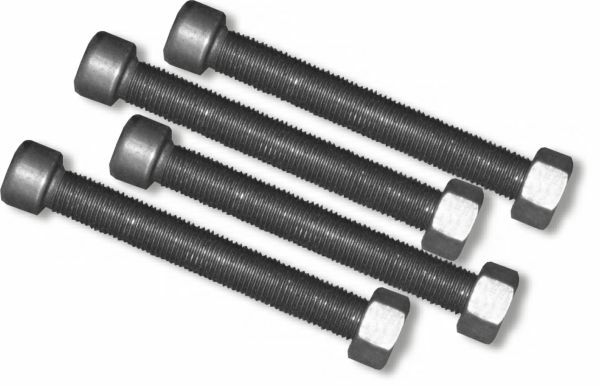 Use with a spring bolt to complete the installation. 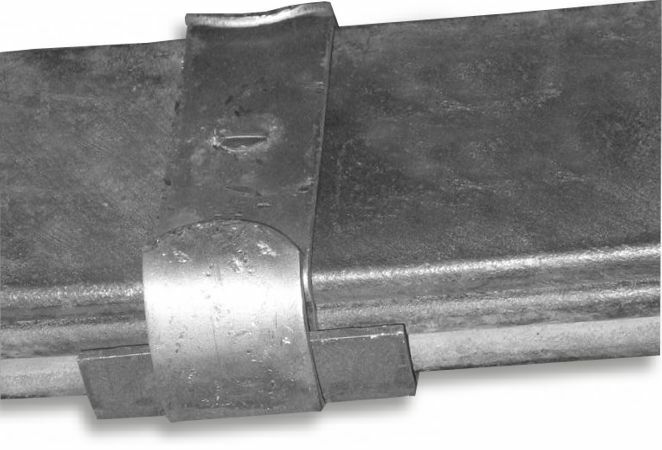 For 21/2" leaf spring applications.
. 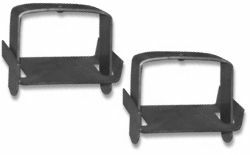 The universal-fit competition race-style polyurethane bump stop is designed with a large reinforced metal plate welded to a mounting plate and molded-in, to better smooth out compression They help prevent damaging and expensive suspension component contact. 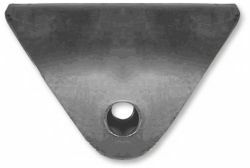 Dimensions: 41/2" H, 41/2" L, 21/2" W.
3/8" stud mount with locking nut. 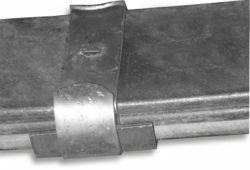 Lasts longer than original rubber stops.
. Our U-bolts are designed to fit many other axle housing applications, including Dana 60, Ford 8.8", Toyota, and Land Rover. 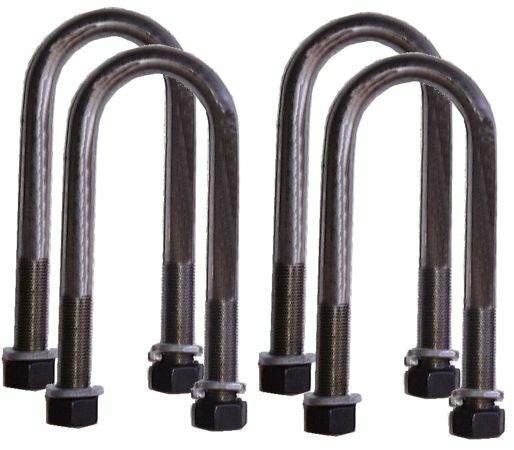 Sold in a set of four (4). Dimensions: 3" Gap, 8" Long. Dimensions: 31/2" Gap, 8" Long. 9/16" thread with 7/8" nut & lock washer.
. Our leaf spring center bolts are a must-have when resizing or modifying your truck's leaf spring suspension. When adding or removing a leaf, always use a new center bolt. Size I: 3/8" x 3". Size II: 5/16" x 4".
. Our leaf spring clamps are a perfect choice when renewing or modifying your truck's leaf spring suspension. When adding or removing a leaf, our spring clamps allow the springs to be clamped exactly as desired. Note: If the location on the spring clamp on the leaf spring is not dimpled, simply hammer the cross-strap notch flat before installing. Application: 2", 21/2" and 3" wide leaf springs.
. Antiwrap spring perch is designed with a longer seat to minimize spring and axle wrap during heavy loading. 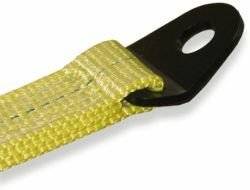 This design causes the spring to remain flat and prevent damage. For use with 21/2" wide springs. Xtreme Duty 1/4" steel - weld-on. 6" long seat with center & 1" offset holes. 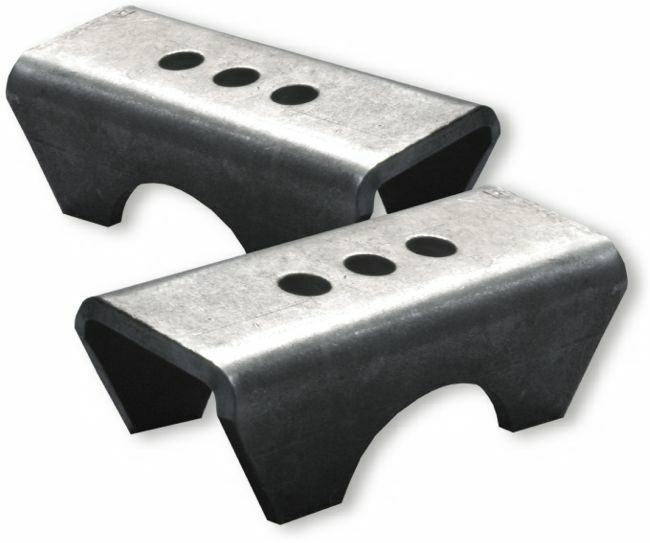 Designed for 21/2" wide leaf springs.
. HD Lift blocks are designed to be used to gain extra lift on rear leaf springs that are mounted over the axle (SOA). 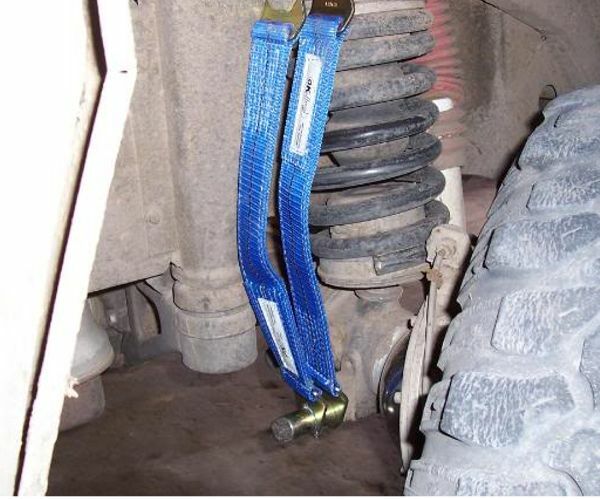 Note: Lift blocks to be used on rear suspension only.